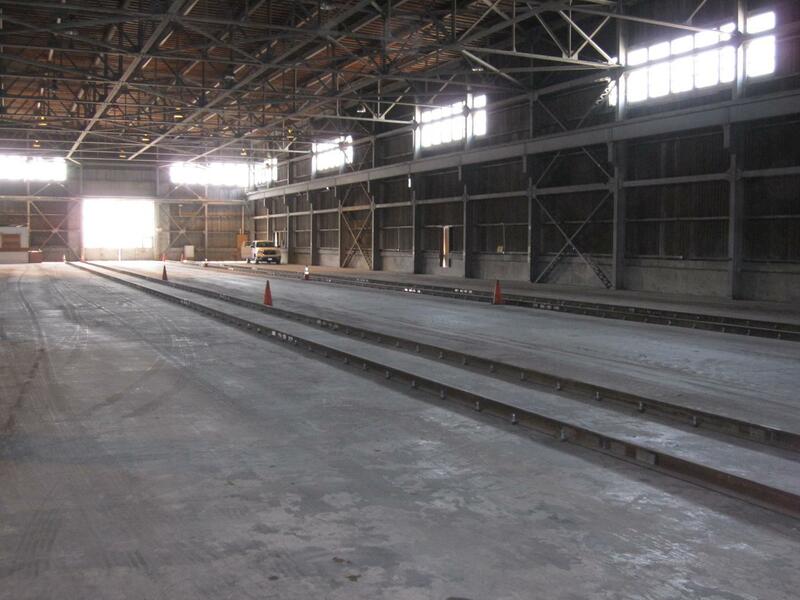 IRC performed a design-build of a new railcar repair facility for Alstom Trainlife Services, located on Mare Island in Vallejo, CA. 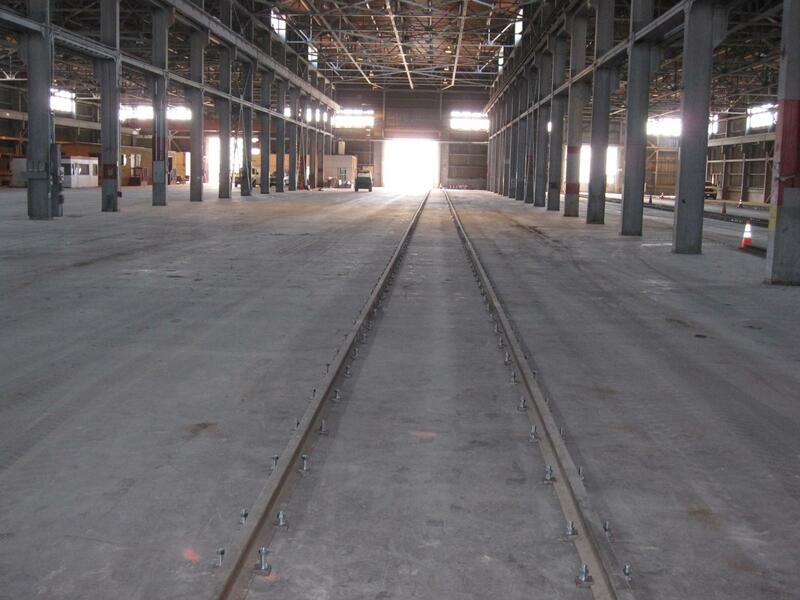 Our work included the survey, design, construction staking, civil work and track construction of approximately 2,700' total track feet of new trackage. The work was comprised of approximately 780' t.f. 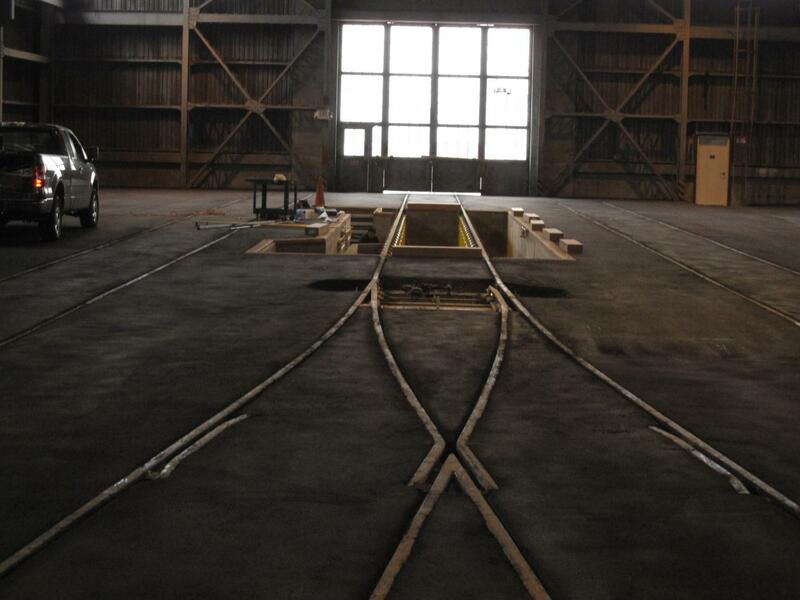 of new ballasted track outside of the Alstom Building, including (2) each new #7 turnouts, 300' t.f. 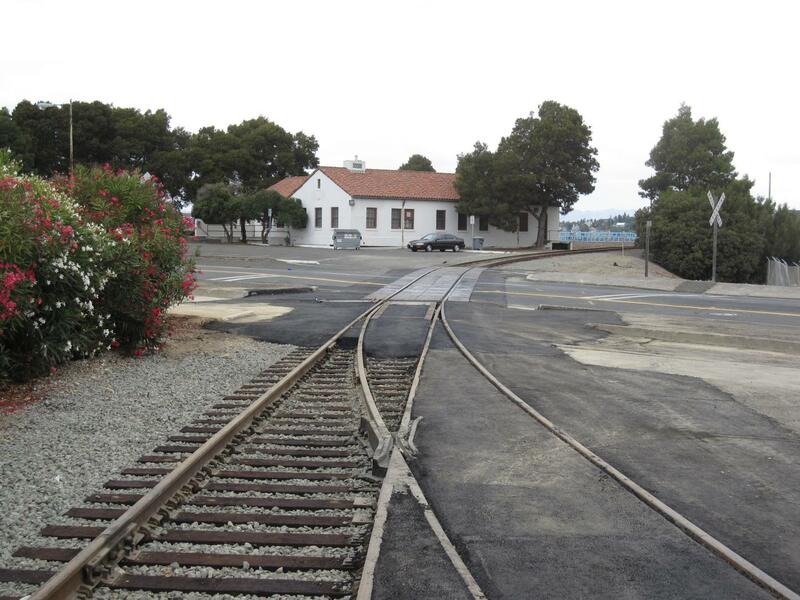 of realignment to the existing lead track plus an adjacent grade crossing. Inside the building, IRC designed and installed approximately 1,900' t.f. 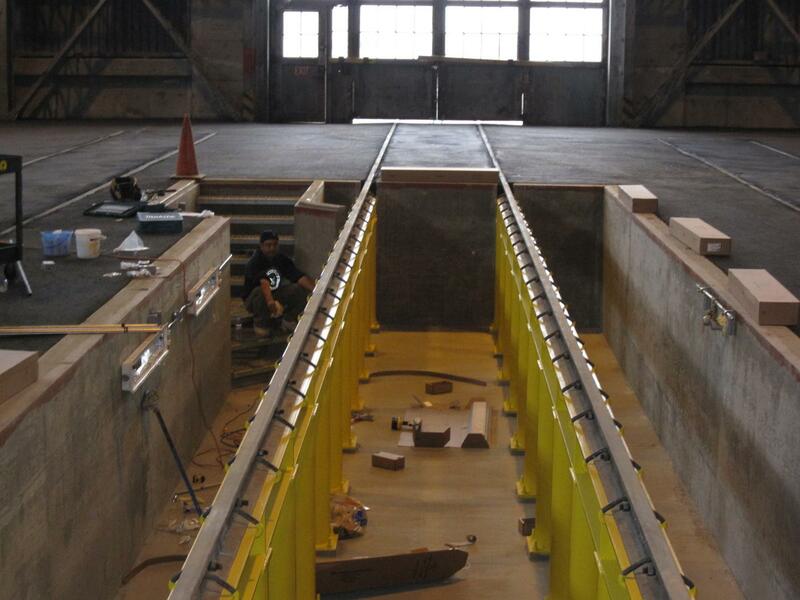 of D/F (direct-fixation) trackage, including (1) each #4 equilateral turnout, (2) each #8 turnouts, and (1) each #6 turnout, all fully welded and mounted directly to the concrete slab floor of the building. DF trackage also included approximately 50' t.f. of inspection-pit tracks.